People fleeing from hunger, war and political oppression have always been a staple of the daily news and with the current European crisis refugees are again in the headlines. 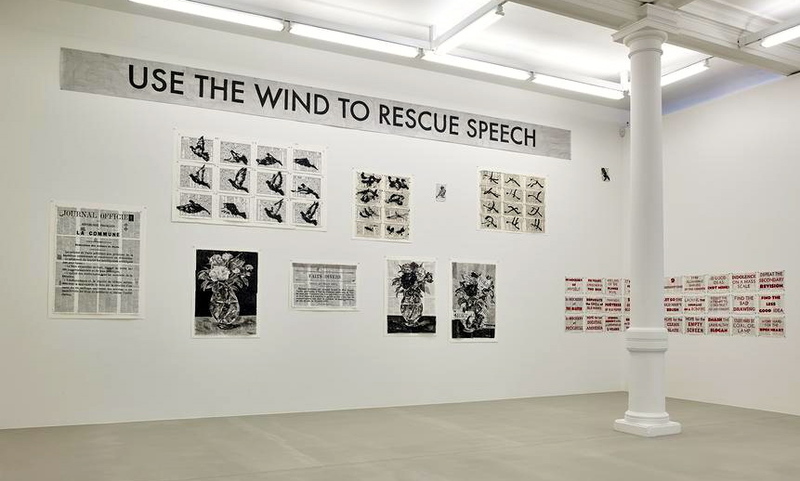 With Ai Weiwei also now in the media with his latest show at the RA (reviewed here) it seems a particularly apt time to be dipping in to the politically-charged world of William Kentridge. 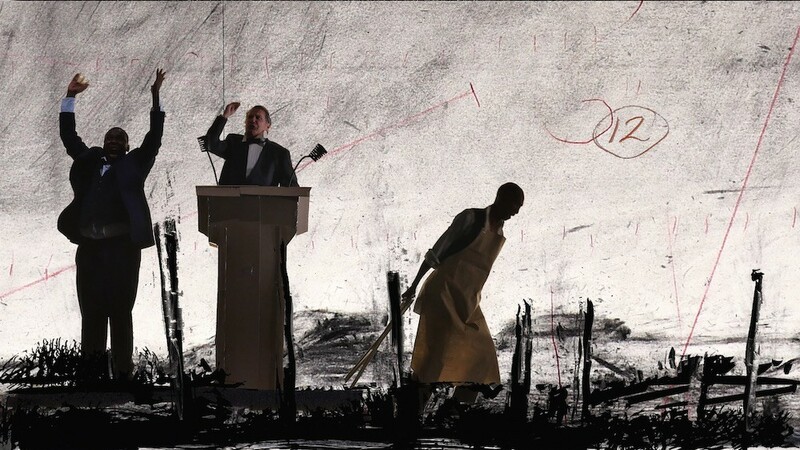 At the heart of Kentridge’s first solo presentation in London for fifteen years is a new multi-screen film installation entitled More Sweetly Play the Dance. 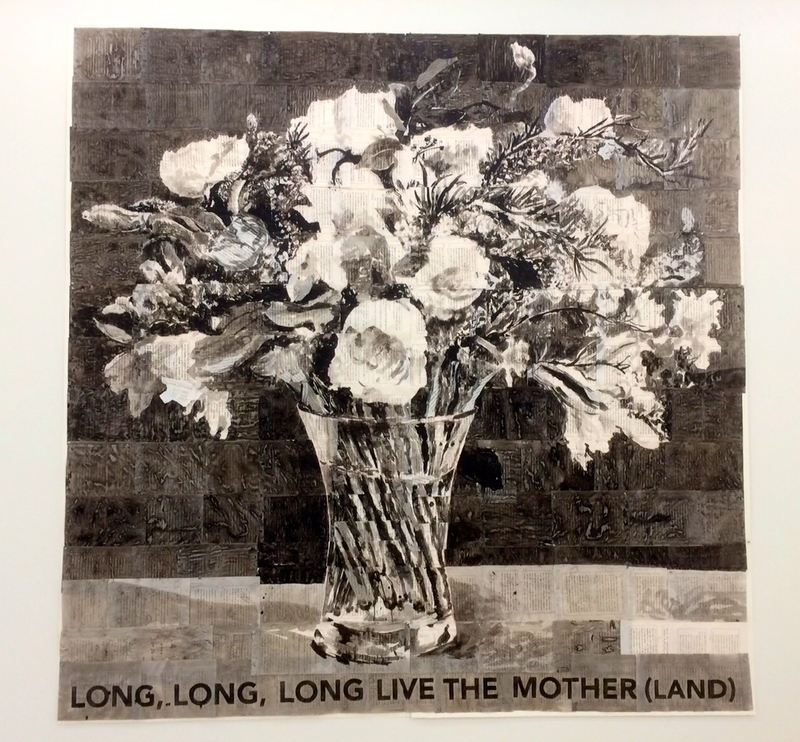 This substantial exhibition also includes another film, monumental ink-on-paper paintings, sculptures and drawings. 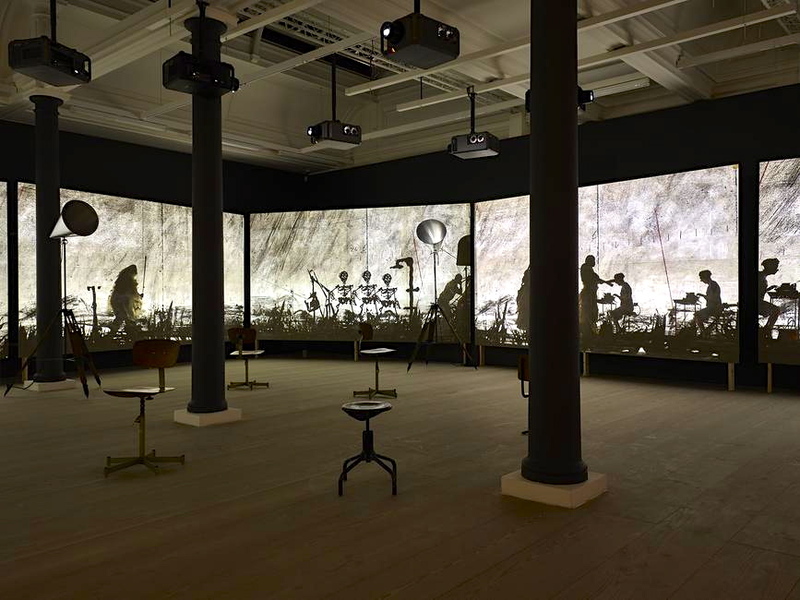 This new work is a 45-metre-long frieze that depicts a seemingly endless parade of figures. 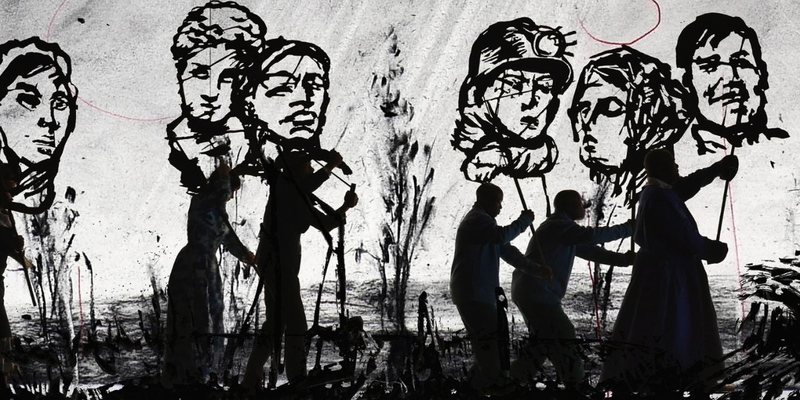 A combination of dance, shadow puppetry, ballet, theatre, film, and music it features a procession of people, largely in silhouette, moving around us from screen to screen against a bare and evocative landscape, drawn by Kentridge in charcoal. Made using a unique technique which he has called “poor-man’s animation” it involves working on a single piece of paper in charcoal making an expressive drawing before erasing, adding new elements and erasing again. He then animates the images into a mesmeric whole. It is a sublime work from an artist at his peak. One moment it appears as a political rally or a stream of refugees, at another a funereal cortege. Figures variously carry flags, play instruments, parade with shadow heads. One figure drags a body whilst another wheels a hospital drip. Some wear military caps, some are in rags. An animated pair of scissors jerks its way around the screen and skeletons dance. It is bizarre, witty, sad, macabre and yet somehow uplifting. The whole is accompanied by a magical accordion and brass band accompaniment reminiscent of New Orleans Jazz funerals. This is Mao’s China, communist Russia, black Africa, the Balkans, post-war Europe and todays Middle East all rolled in to one. The casualties of hunger and war, streams of displaced people, human misery in one tragic everlasting parade. Born in South Africa to parents who were both anti-apartheid lawyers, his father defending Nelson Mandela among others, Kentridge’s studies inevitably took in politics before including art, film and theatre. Although primarily an artist all these influences are deeply imbedded in his work. Another film installation, based on Mao’s model operas, features an African ballet dancer, file in hand, in front of changing notebooks, maps and images of famine and poverty – cleverly highlighting political posturing as populations suffer. 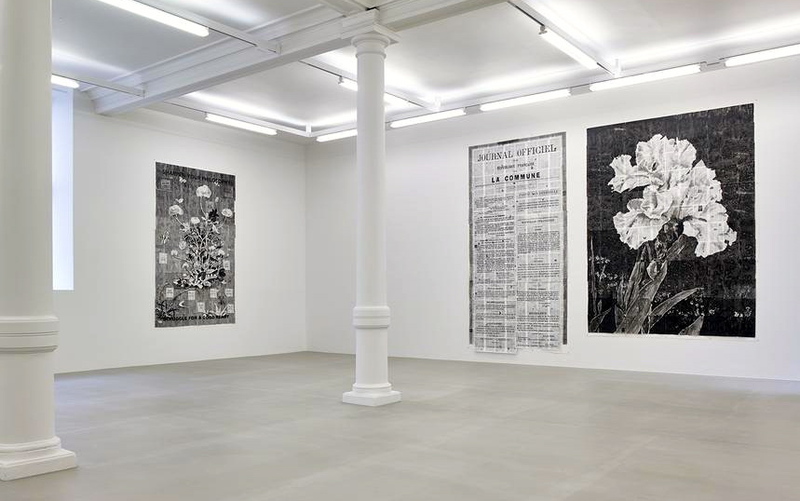 The main gallery downstairs has a new series of works in which political dictums are interwoven throughout giant ink images of flowers drawn on pages of found political text. Smaller works on paper span two walls including a sequence of doves flying across a sky of Chinese calligraphy. 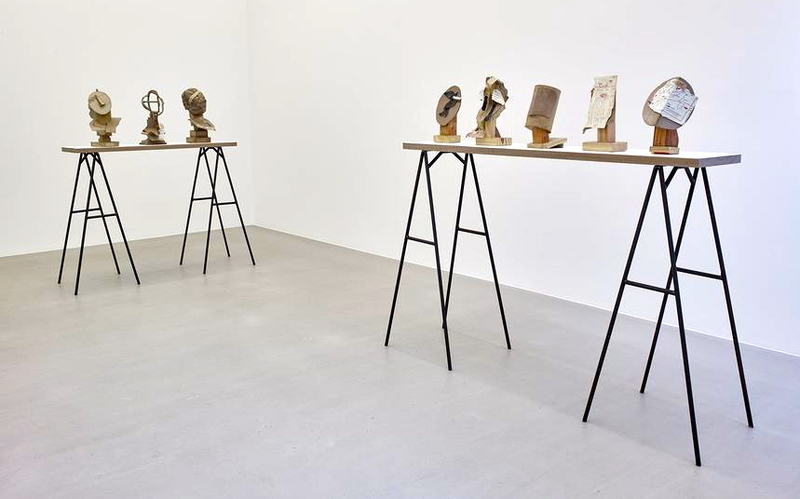 An adjacent room contains two groups of painted bronze heads that developed through research for Kentridge’s production of Alban Berg’s opera ‘Lulu’. To coincide with this show the play ‘Ubu and the Truth Commission’ is on at the Coronet London. Both surely are amongst the do-not-miss highlights of the year. Images by CELLOPHANELAND* and Marian Goodman Gallery. 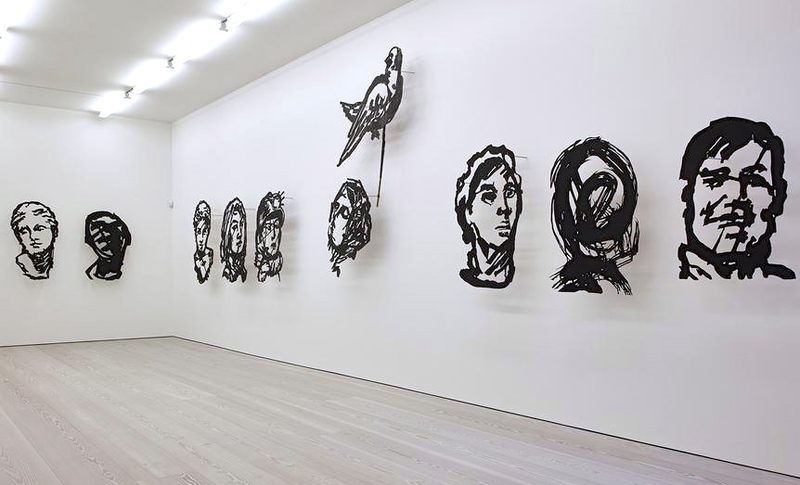 You are currently reading William Kentridge at Marian Goodman London at a kick up the arts.